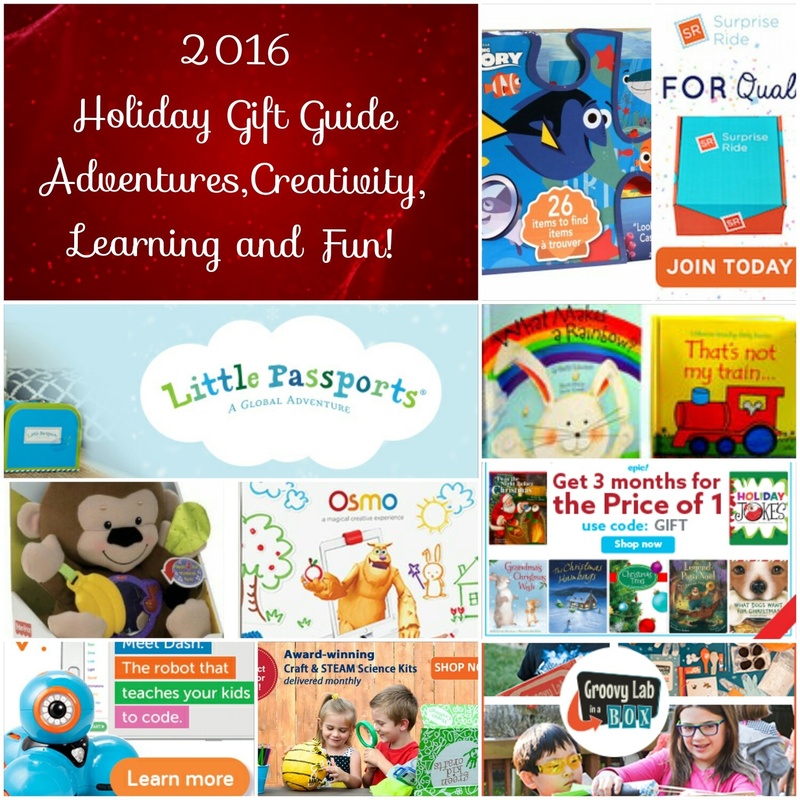 2016 Holiday Gift Guide for Children! Adventures, Creativity, Learning, and Fun! Our gift guide was put together carefully focusing on products that help children develop skills, inspire exploration, encourage creativity, and of course loads of fun. Children enjoy playing with all sorts of toys which we think is great. However, it is also important to expand their minds and give them the activities they need to strengthen their abilities and grow effectively. Here are our top ten choices for gift ideas for children. 1. Little Passports. Little Passports delivers a travel adventure right to your door! Choose from the Early Explorers (ages 3-5), the World Edition (ages 6-10), or the USA Edition (ages 7-12). Each subscription will have your child rushing to the mailbox, waiting for packages highlighting a new global destination or US state. They’ll receive letters, souvenirs, pop-out models, activities, stickers and more. Inspire a life-long interest in travel, language and world cultures with Little Passports!
. 2. Fisher-Price Activity Plush Gorilla. The Fisher-Price Precious Planet Gorilla Doll will bring your child a mix of entertainment and learning with vibrant colors that are sure to please. This toy is large, giving your kid an ample size to grab onto for playtime. The activity plush animal toy has a mirror in his belly that lets your little one see themselves anytime they want. There's also a banana teether that will help as teeth begin to come in. The baby plush toy has a satin leaf attached to one hand, giving a unique texture for your child to explore. Press the music note and the light will flash and children will be rewarded with either a sung song or game. 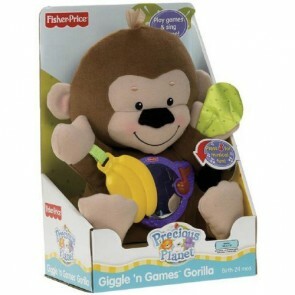 The Fisher-Price Precious Planet Gorilla Doll has noises and other interactive entertainment options. - All the supplies needed to complete two projects that explore the month’s theme. - A book, a snack, and other fun surprises to go along with the Ride. - Our famous Surprise Ride booklet with lessons on the theme, interesting facts, and ways to continue the exploration. 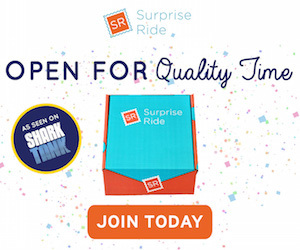 Sign up for a monthly subscription and a fun-filled Ride addressed to your child will arrive on your doorstep every month. Perfect for ages 5+. 4. Osmo Creative Kit. 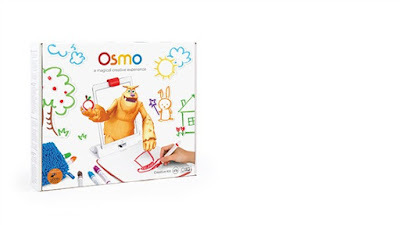 Osmo makes games that merge virtual and physical play; if Osmo had a middle name, it would be "Interactivity." The Osmo Creative Kit uses interactive art tools in 3 creative apps: Monster, Masterpiece and Newton. Each app takes whatever kids draw and instantly brings it to life onscreen. The kit comes with easy-erase markers and a specially designed Creative Board that transfers what you draw into the digital world, exactly how you drew it! The drawings then become animation to take part in a story, solve a puzzle and more! Recommended for ages 4 - 12. 5. Dash & Dot. 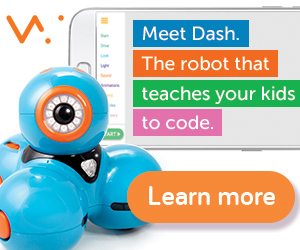 Dash & Dot are real robots that teach your kids to code while they play. Using our free apps and a compatible tablet or smartphone, kids learn to code while they make Dash sing, dance and navigate all around the house. Sensors on the robot mean they react to the environment around them, including your kids. 6. Epic. This year, give the SMARTEST gift... Epic! 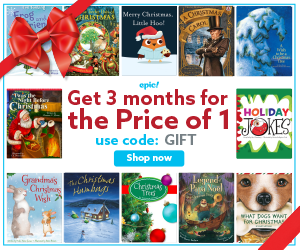 gives you & your family unlimited access to more than 20,000 high-quality books for kids 12 and under, for under $5/month. It's the year-round perfect gift beloved by parents, teachers & most importantly, kids. 7. 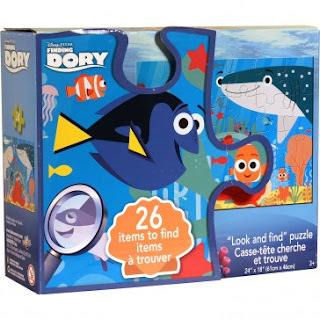 Finding Dory Look and Find Puzzle. It's a puzzle! It's a game! It's a puzzle AND game! Assemble the puzzle that features hidden objects within it. Once assembled, look on the back of the box for a list of all the hidden objects, then try to find them within the puzzle! Children can race each other to find the objects. 8. Green Kid Crafts: Creativity and STEAM Kits for Kids! 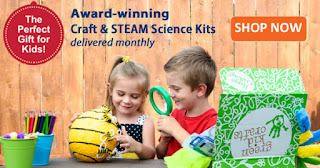 Green Kid designs and delivers hands-on, award winning, and eco-friendly Discovery Boxes, Creativity Kits, and STEAM Kits (science, technology, engineering, arts and mathematics). Here you’ll find information about our kid's subscription program, our best gifts for preschoolers and kids ages 3-10, our favorite kid's science experiments, plus craft ideas for kids. 9. Groovy Lab in a Box. 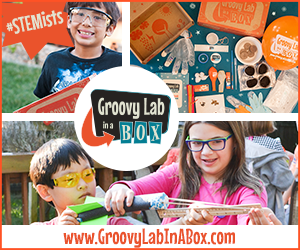 With Groovy Lab in a Box, you will receive boxes full of everything you need to learn about and do hands on science, technology, engineering, and mathematics (STEM) experiments for ages 8+. 10. Lil' Bear Book Club. Lil Bear Book Club is a subscription box company that caters to young children. 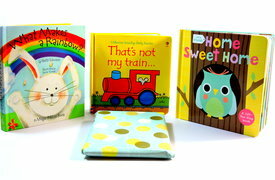 We send gift wrapped board books or Picture books to a child's door monthly to get him or her excited about reading. This is a great way for children to learn to read and for parents to bond with their kids. It also makes a fantastic last minute gift idea for a young child. Did you see anything here you like? We hope this Holiday gift guide has been helpful.